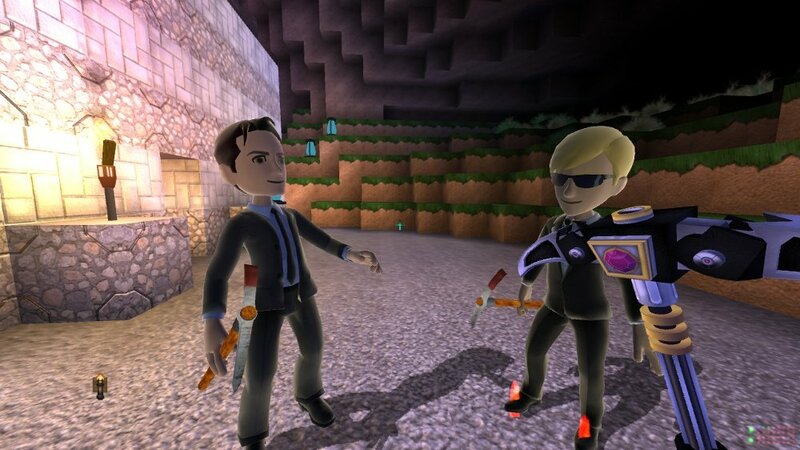 Fortresscraft was developed by ProjectorGames and released on April 8, 2011 and costs 240 Microsoft Points. A copy was provided by the developer for review purposes. 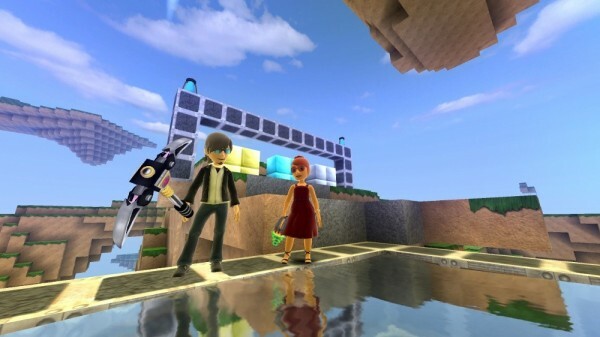 Minecraft is a game very familiar to PC gamers: a blocky, pixelated adventure that has spawned generous and creative user-created content that is as much as an homage to the title as it is to the gaming industry. 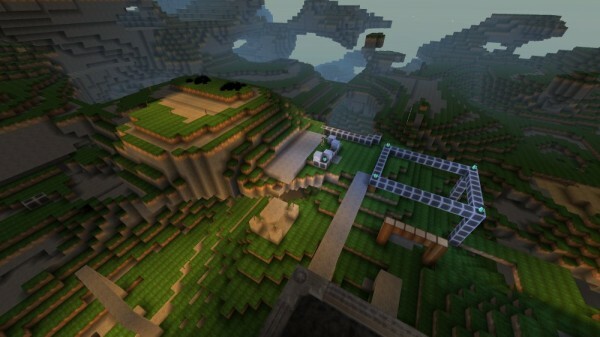 Console gamers have yet to experience the labor of love that is Minecraft — that is, until now. Beautiful graphics – Although Fortresscraft looks an awful lot like the game it borrows elements from, it is still a gorgeous game to look at. The single hub that players can alter and customize to their liking is vast, dense and is layered with sunshine and a beautiful nighttime sequence. Players can craft the world with an endless array of single blocks differentiated by colors and textures and for even simpler customization methods, they can discover artifacts like a jetpack to make traversing the landscape easy and effective. We managed to make a pixelated replica of Mario from Super Mario Bros. in a matter of minutes to much success. Customize, customize – Dozens of blocks can be placed anywhere on the central stage, allowing players to create castles, 8-bit re-imaginings of favorite gaming characters, or anything that comes to mind. The playing field is huge, so you won’t be running out of space anytime soon. Online interactivity – Once you complete your pixelated masterpiece, you can invite other players into your world, and they can alter it as they see fit or simply wonder over your accomplishments. Nothing is more satisfying than working endlessly to create a sprawling Fortresscraft metropolis and have your friends digitally pat you on the back. What, that’s it? – Unlike Minecraft, which rewards players for mining for resources, Fortresscraft presents you with endless tools and resources to create your masterpiece, so the sense of accomplishment stemming from earning your resources and crafting items from that arsenal is simply absent. Future iterations promise these additions, but Chapter 1 lags behind. Glitches – There is a game breaking glitch present–when players create their own world, everything works fine, but if they try to jump into another player’s portal, their world will erase and all of the progress made will disappear. Again, the developer is promising a patch but this discourages players from visiting their friend’s creations. Too few blocks – Earlier we mentioned the dozens of different blocks that can be used to create your world, but that isn’t nearly enough to create worlds unique from one another. Players will find ways to do things creatively, but a lot of the creations will end up looking the same because everyone will use the same red block if they need to use the color red. We hope future iterations address this issue. Fortresscraft has a lot of potential. The framework for a great game is certainly there, but as it exists now the title is sub-standard. If future chapters address customization limitations, glitches, and the lack of progressive gameplay, gamers will have a great time, but if the developer charges 240 Microsoft Points for each addition, we recommend shelling out the cash to buy a decent PC to play Minecraft.